We’ve had a spectacular start to 2016 and are working on some great projects both locally and overseas. Welcome to the first edition of baCKchat. We’re looking forward to providing you with updates on CKA Group and our projects, as well as sharing information and resources we think you’ll find interesting and useful. Designed by Ivo Krivanek and Vic Huang in association with CKA Group’s Shanghai office, the Chengdu Theatre project recently received planning approval from the Sichuan Regional Government. Construction has commenced and is due for completion early 2019. 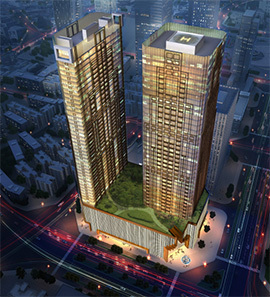 Comprising a 250-seat performing arts theatre, four levels of retail, 40-floor hotel and 40-level office building, this is the eighth major project CKA has undertaken in China. 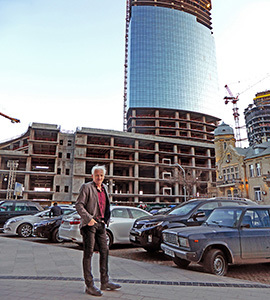 This remarkable $1b US project gave Ivo Krivanek and the team the opportunity to design an apartment tower and luxury townhouses for the Azerbaijani government. Referred to as the “New Dubai”, Baku presents huge opportunities for Australian consultants to be part of the coming construction boom on the Caspian Sea. The apartment tower under construction. 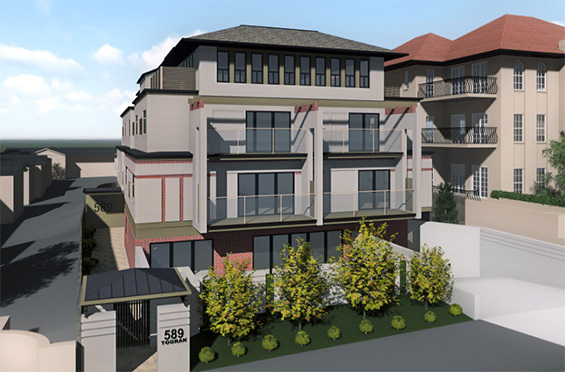 Planning approval was recently obtained for a four storey luxury apartment building in Toorak Road, Toorak. The building was designed by Robert Caulfield and Vic Huang to complement the neighbouring heritage building. 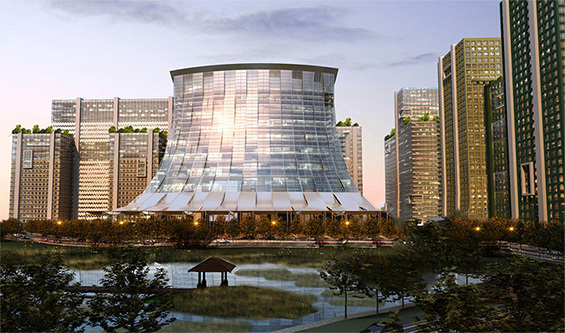 Construction is expected to start in August 2016. 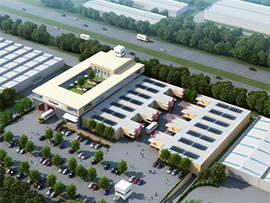 Following completion of a large pharmaceutical incubator project in Chengdu, China with Sichuan University, the CKA team has undertaken concept designs for a manufacturing and technology incubator facility in Melbourne. The client is scientific instrument company, Trajan. Trajan is undergoing spectacular growth with their creative management team. 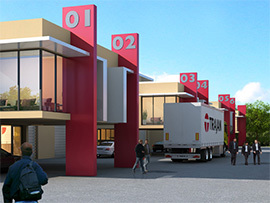 Trajan’s project includes 14 separate incubator buildings. Trajan’s Research & Development area stretches over 6,000 square metres. A prominent Chinese development company purchased a 5 square kilometre former horse stud and engaged CKA to convert and extend the historic homestead to a resort and club as part of this $50m development. 12 luxury houses to be located on 45 hectare lots with Goulburn River frontage are also to be incorporated into the design for which CKA is producing a range of themed designs. The design team includes Robert Caulfield, Ivo Krivanek, Laura Miller and Darcy Maginness. The historic homestead to be converted and extended. In the early stages of planning, this $80m project comprises 200 serviced apartments, a conference centre, function centre and day spa. Walking and riding tracks that take advantage of the spectacular site are also being incorporated into the design being produced by Robert Caulfield, Song Yang and Laura Miller. Lake Bellagio Resort is set to become one of Victoria’s premiere tourist resorts. 100 apartments will have lake frontage. Situated on 18 hectares with a six hectare fish-filled lake. The CKA team has recently obtained planning approval for townhouse projects in Glen Waverley, Box Hill, Blackburn and Mount Waverley. Our briefs included design, documentation, marketing plans and perspectives. 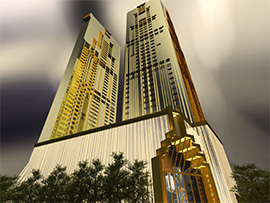 The first of these projects, designed by Robert Caulfield, Vic Huang and Frank Basanisi, is starting construction and will be delivered for under $2,000 per square metre. CKA undertook architectural and interior design services for this project in Mount Waverley. 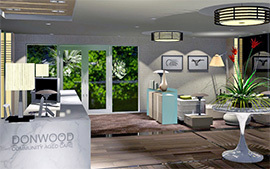 Donwood are refurbishing their 30-bed nursing home, and adding 25 new beds and an administration facility. This $9m project presents the challenge of requiring that residents and staff remain in the facility throughout construction. Construction is well underway with SJ Higgins Constructions, Jeremy Hearn and Dean Connor from CKA undertaking contract administration. Harinat Siriwan is looking after interiors. Donwood reception designed by Harinat Siriwan. 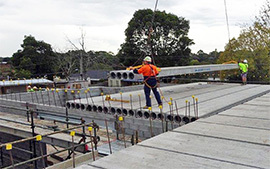 Precast concrete floor panels allow for fast construction and spans up to 12 metres. CKA recently obtained a planning permit to construct a 20-bed first floor extension and convert seven existing independent living units to luxury VIP residential suites. The extension, designed by Robert Caulfield and Vic Huang, will include large lounge and dining areas, new administration facilities and several rooftop gardens. 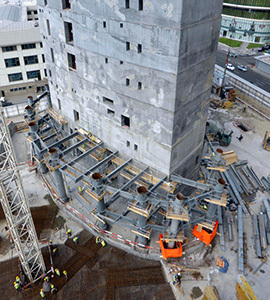 Like most aged care projects, construction cost was a major factor in the design process for this development. CKA has used a selection of lightweight materials to allow large spans for ease of construction and minimal disruption to staff and residents. Ten years after Robert Caulfield designed the first major extension to this 1960’s building, Deloraine is undergoing its second major upgrade and extension. Construction will start in May to add 20 new beds, and new dining, lounge, administration and recreational facilities. Part of the design challenge was to devise a staging program which minimised disruption to residents and staff during construction. Many aged care clients tell us that it was “not knowing how much it was going to cost” that prevented them from starting their building journey earlier. We wanted to help. Our free Cost Guides are designed to help you understand what costs are likely to be involved in your project before you start. They include indicative costs for different project sizes and levels of finish so you can form a realistic budget from the outset. CKA has new home and renovation projects running in Toorak, Mornington, Mt Martha, Yarraville, Ringwood, Glen Waverley, Mount Waverley and Glen Iris. Check out our next housing edition of baCKchat for more details – coming soon! You’re receiving this email because we have corresponded with you by email in the past.